With all our top sides playing away or out of action, this week felt very much like an international break. The good or bad news, depending on how you look at it, is that this week actually is an international break so we won't get to see any competitive football from the top two divisions until the end of the month. A time of great boredom for some but of great adventure for others as it affords fans of the beautiful game a chance to check out their local non-league sides and boy are there some big games this week. For me, the FA Trophy semi-final second leg between Wealdstone and Brackley Town tops the bill and if I wasn't babysitting I'd be trying to get down there and suggest that you do. There are also some big games that will go a long way to deciding promotion and relegation too all of which can be found in our usual 'TLFG Daily Digest' below. A lot has been made of the struggles facing Bostik League club Dulwich Hamlet over the last couple of weeks. The last few days have also been action packed for the south London club. 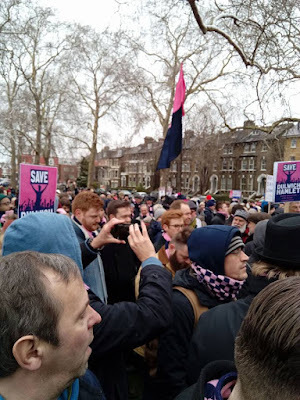 Not only have they played their first two games at Imperial Fields but they sent a delegation to Parliament (which was received by Labour leader Jeremy Corbyn), received further backing from the local council about a possible compulsory purchase order of their ground from the developers and held a protest march in the Dulwich area which over 1,000 were said to have attended. Momentum, pardon the pun, certainly seems to be with them so here's hoping it all works out. I've also mentioned in recent weeks that National League side Dagenham & Redbridge are feeling the pinch at the moment. To help them raise funds, West Ham have agreed to bring a squad to Victoria Road for a friendly on Wednesday. With it being an international break, David Moyes is said to be bringing a fairly strong team. My week has been devoid of live football but I took great pleasure in hearing about QPR's fine 2-2 draw at local rivals Fulham on Saturday. After being 2-0 down at one of the best teams in the division, it was very pleasing to come away with something - and this came on the back of a stunning 3-1 win at Aston Villa on Tuesday which no-one saw coming! Onwards and upwards. 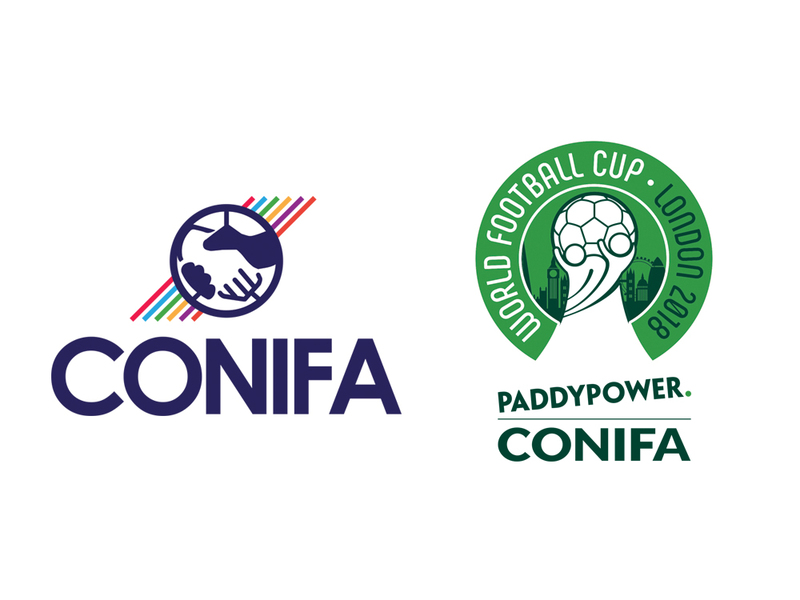 Since I last wrote, it's been announced that Carshalton Athletic will be hosting both semi-finals in the forthcoming Conifa World Football Cup here in London, whilst Bromley will hold the opening ceremony. The tournament which runs from 31 May - 9 June is for teams representing 'nations, de-facto nations, regions, minority peoples and sports isolated territories' which are not recognised by Fifa. Competitors in the 16-team tournament include Ellan Vannin (aka the Isle of Man), Northern Cyprus, Panjab, Tamil Ealam and Tibet. Full information about fixtures and tickets can be found here. Lastly this week I'd like to thank Hans F from Austria and Rod S from the USA for their supportive words and generous donations to TLFG's coffee-drinking fund - it's very much appreciated. There are over 100 matches in the London area over the next seven days. The highlights include some big games in the National League and an FA Trophy semi-final. As always, please make sure you check with clubs before you travel just in case a game has been called off or venue has been changed. Also, please let me know if anything is wrong or missing. Details on all of this week's games can be found on the following match maps. If you've never used them before, please note that when there is more than one match at a specific ground you'll only be able to see individual match pins if you zoom right in. If you don't, the pins obscure each other and you might miss them. To avoid this, you can also scroll down the list of games on the drop down menu at the top of the map page to make sure you get all the information. Games are listed from top to bottom in date order so Monday's games (yellow pin) will appear first and Sunday's (orange pin) last. Games are also ranked in terms of status so the higher the division, the higher up the list they will appear on each day. Also if you're unfamiliar with the English league structure I indicate the level at which an individual league sits in the national 'pyramid' with the Premier League at the top (Level 1) and various minor leagues at the bottom (Level 10). Typically a top level game will see crowds of anywhere between 20,000-60,000. These figures will gradually decline as you go down the leagues until you get to Levels 8-10 where attendances of 150 or less are most common. It should also be noted that the top four levels are for fully professional teams. Level 5 has a mixture of professional and semi-professional teams, while Levels 6-10 will see most players paid but it will vary from no more than travel expenses at the bottom, right up to several hundred pounds a week at the top. In the following section I list, by day, what are in my opinion the most notable games of the week and give some brief reasons for my choice. Check the maps above for kick-off times, ticket info and directions. Haringey Borough v Heybridge Swifts @3pm - aside from Hornchurch, London's main contenders for promotion are Haringey who face a very useful Heybridge side on Saturday. The Essex club, like Billericay, have games in hand on everyone which could see them leap up the table but have they got the stamina to pull it off? If you're going to see a game, whether you're a local or a visitor, please let me know what you've been up to. If you're interested in reviewing a ground in the London area for this blog then get in touch. I also very much welcome photos of your football travels. Got any questions about visiting London? Don't hesitate to ask - be they football or more general travel/touristy queries. I do not charge for this advice like some other sites so don't hold back! You can contact TLFG through the comments section below or via Facebook, Twitter or even by good old email. Just to add that tickets for Orient are only a fiver. The football has gone off the boil a bit since they went out of the FA Trophy and are probably safe from relegation and too far behind for the play offs but you can’t beat football for a fiver! I'm a QPR fan and follower of Harrow Borough in the Isthmian League. In 2010 I set up Non-League Day to help promote semi-professional and grassroots football. I'm hoping that TLFG will help provide a similar boost for football clubs around the capital. I also worked at BBC Sport for 10 years before it relocated to Salford but decided not to go, such was my love of London.